Shelby is using Smore newsletters to spread the word online. Russia is located in the Northeastern part of the world, very close to the North Pole on one side, and touching Central Asia on the other. It is 6.6 million square miles in comparison to the United States; 3.8 million square miles (Wikipedia, 2015). It is the largest country in the entire world. This being so, there is a very large range of varying climates. 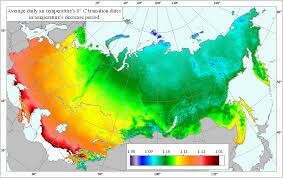 In just Russia itself, there four different types of climates. In the North, near the North Pole, most of the land is covered in a permafrost. This tundra climate is cold and very unpleasant nearly all the time. Towards the Central/ Eastern part of the country, the mountainous land is completely covered in coniferous forests. In the far Western side of the country, there are plains and grasslands that extend along the Southern border of Russia. Just beyond that is desert of Russia's neighboring countries. The diverse climates in the area define the population of Russia. About half of the country is uninhabitable due to the geography itself. The tundra, for example, is a completely terrible place to live. Everything is frozen almost all of the time, it makes things difficult to build, farm, or create a life there. The mountainous, coniferous regions of the country have very few people living in them as well. The mountainous land make is hard to build cities and have good communication in, and the coniferous soil is not fertile enough to farm anything in. Like the tundra, it is an extremely difficult place to live. The people who live in these regions are almost completely self-reliant, and have almost no communication with the major Western cities, while living a nomadic lifestyle. Being so, most of the population have settled in the yellow and red portions of the map below. There are a few exceptions of cities going along the Southern border, settling along the river, but other than that, most of the country is uninhabited. Before Russia was Russia, it was the Soviet Union. It contained Russia and most of its surrounding countries. Russia was the leader of the Soviet Union and was where countries went to when they needed help. Many countries idolized Russia and followed the Russian culture. In the 1990s, the Soviet Union started to fall apart. Countries started to break away from Russia, and Russia did not take it well. Their economy fell hard when the Ukraine declared independence because Russia's largest naval base was in the Crimean Peninsula and lost billions of dollars to recreate the size of what they lost. Along with the Ukraine, Russia temporarily lost the control in oil power when the Caucasus and Central Asia distanced itself away from what was now turning into the Russian Federation. As Russia was falling apart, Chechnya started to gain independence and Russia was not with that idea at all. They sought to overthrow the Chechen government in order to keep Chechnya with Russia. It ended up turning into a war that upturned 100,000 casualties in a country that has only about 1 million people in it. After this, Russia's international reputation was demolished. The only thing that was keeping Russia by the string was its oil and the ethnic Russians in its neighboring countries. As the years progressed, Russia regained the power of oil from the neighboring countries along with other major oil companies. It is able to use the oil as a foreign policy. 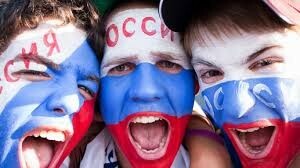 Today, Russia is the renowned world leader in oil and are beginning to make a comeback from their fall in 1991. The Ukraine is debating on whether or not to join Russia again and most of its neighboring countries have a large percentage of their population that are ethnically Russian. As of now many people, even internationally, have to worry about Russia taking complete control over the oil. If that happens they can pretty much have any country do what they ask them to do because if they don't, they can just shut off their oil supply. They have started regaining control over countries like the Ukraine and are starting to convince people to join their party and slowing regaining control. We need to see that Russia is still important. Everyone needs to see that. They have a place in the world and they are trying to show people that. If we keep underestimating them, they will prove us completely wrong someday and regain complete control over what used to be the Soviet Union, maybe even beyond that.